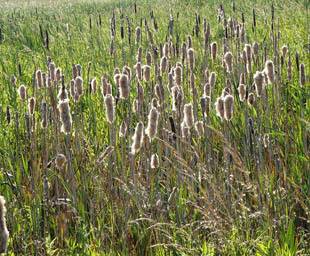 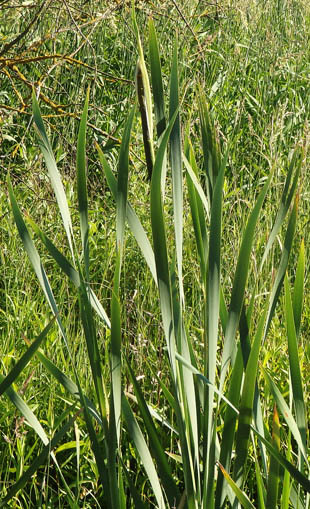 Bulrush is a native, rhizomatous, perennial herb growing up to 3m. 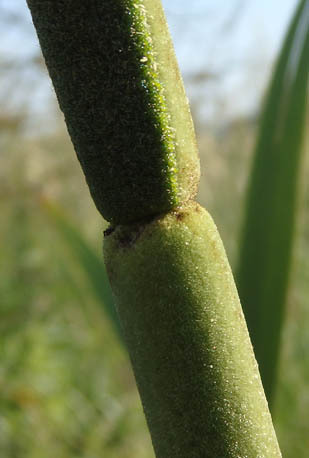 separated by a gap as in Lesser Bulrush). 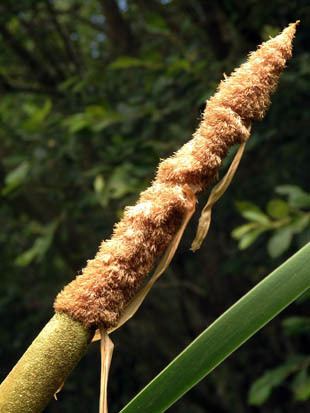 Female flowers have 1 ovule, 1 style and 1 linear stigma. 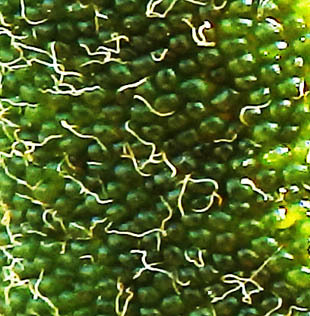 The fruit is a small capsule. 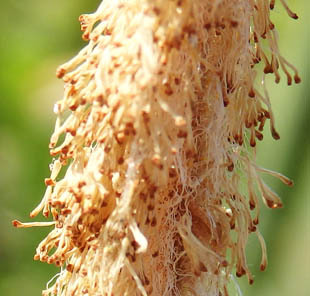 The female spike disintegrates from late July onwards.